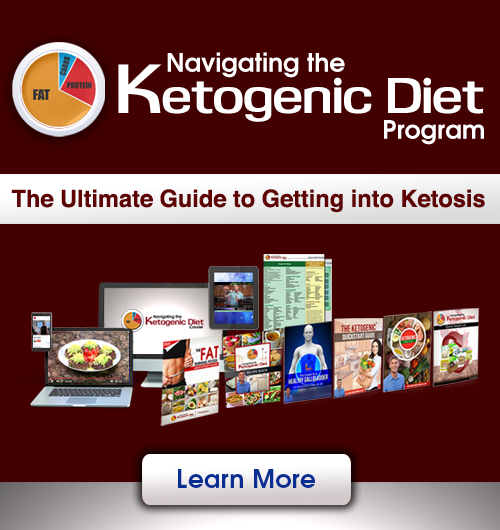 The ketogenic diet has absolutely exploded in popularity over the last few years and for good reason. The benefits of a low-carb, high-fat, moderate-protein diet are astounding and include improvements in inflammation, metabolism, brain function, and the list goes on. Because I often recommend this type of eating style, I have become well aware of some of the challenges that people face when making the switch and one of the biggest complaints I get is keto breath. Shortly after beginning a fasting regimen or a ketogenic diet many people report a persistent breath odor or bad taste in the mouth. This is called “keto breath,” and is very common and fortunately it can be negated when you follow the right steps. This article goes over 5 strategies to overcome keto breath naturally. A ketogenic diet has many great health benefits, including reducing inflammation and improving fat burning and brain function. While ketones have an incredible therapeutic impact in our body, they also cause a fruity breath. However, many times the cause of the bad breath is not the ketones…but excess protein or possibly poor oral hygiene or digestive distress. When it comes down to it, there are only two primary causes of bad breath that are directly related to a ketogenic eating style and they are: Ketones on the breath and over-consumption of protein. In the case of too much protein or bad protein digestion, the unsavory breath wouldn’t be related to keto breath. When we start burning fat as a primary fuel source over carbohydrates our bodies produce different byproducts as a result. 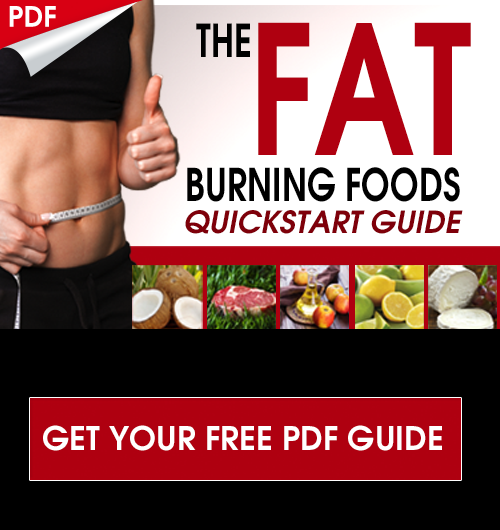 The main byproduct of burning fat are the ketone compounds and, although these are what we want for energy, one type of ketone in particular (acetone) is released in the breath and may have a fruity odor in higher amounts (1). The second way would be to come out of ketosis and see if the fruity breath goes away. Many people report that this acetone breath response is more pronounced when beginning a ketogenic diet and tends to fade with time; so if you just started… be patient! For persistent bad breath odor after several weeks or months on a ketogenic diet, read through for strategies to combat this. One of the biggest mistakes that people make on a ketogenic diet is that, in reluctance to eating high amounts of fat, they lean on protein as a primary source of calories. Eating high amounts of protein will not only inhibit your ability to get into ketosis (excess proteins can be converted to sugar via gluconeogenesis (2)) but can also be hard on the gut as it struggles to break down such high amounts of protein. A byproduct of such high protein intake is the production of ammonia that, like acetone, is released from the body through the breath. In high amounts, ammonia can smell foul. Protein should only make up about 10-25% of calories on a ketogenic diet with the upper end of the range being reserved for those completing a high amount of muscle demanding physical activity. Although there are technically only two main causes of keto breath, there are several other factors that contribute to bad breath and addressing them can improve this condition significantly. We all know that stale feeling we have in our mouths upon waking that makes us want to brush our teeth before even saying good morning to anyone. This occurs because typically the mouth will become dry during sleep. This becomes more pronounced if we breath with our mouths open, sleep in an especially dry environment, or are dehydrated throughout the night. Our saliva acts as a regulatory fluid in the mouth that maintains a healthy mouth pH, maintains bacterial balance, and bathes our teeth in minerals. To help with this, take measures to stay hydrated before bed and ensure nostril breathing through the night. Also, oil pulling and brushing shortly after waking will ensure overnight bacterial growth is addressed. You can also use a natural mouthwash such as Oral Essentials here This is also a great mouthwash to reduce keto breath throughout the day. You can also snack on fennel seeds, rosemary or mint, which work quite well too. To build off the morning breath information, many people simply are not following an effective oral hygiene plan. There are hundreds of different species of bacteria that make their home in the oral cavity and often reside in unaddressed areas like the tongue and the gums. Unaddressed bacterial growth leads to plaque formation, inflammation, increased susceptibility to cavities, and of course bad breath (3). This is much different than keto breath, which only comes on with the presence of ketones in the breath, but it is important to address oral hygiene in either case. Oil Pull Once a Day: This is a simple method that has shown to be effective against plaque and bacterial build-up (4). Simply use a teaspoon of oil (coconut oil works well), melt in your mouth, and swish between the teeth for 10-20 minutes before spitting out. DO NOT SWALLOW as it has now contained a lot of the bacteria and toxins from your mouth. For more info on oil pulling read this article. Stay Hydrated: Drinking adequate fluids throughout the day to ensure the body has enough fluids to supply the mouth with saliva. Especially when on a ketogenic diet it is important to drink plenty of fluids along with adequate mineral intake as they are excreted from the body much more rapidly. Sipping on bone broth throughout the day is also a great option as it provides hydration along with electrolytes, minerals, and many other beneficial components. Brush regularly (2x/ Day), Scrape your tongue at least once a day in the PM, and consider an herbal mouthwash. These are great tips for all of us to follow and they will help in the case of overcoming keto breath as well. Sulfurous Foods: Although cruciferous veggies can be some of the most nutritious foods we can eat, and one of my personal favorites, the sulfur content of these foods can actually contribute to bad breath. Onions, garlic and leeks also fall into the sulfurous food category. The sulfurous compounds can be left behind in the oral cavity or released from the digestive tract upon digestion. The smell of these foods can be somewhat tamed by consuming them with generous amounts of aromatic herbs such as rosemary, thyme, oregano, fennel, and parsley. Another more advanced strategy would be to follow up meals rich in sulfurous veggies with a chlorophyll-rich green drink. Once formed, this layer secretes toxins and volatile substances that can be foul smelling. Dairy is a primary contributor to the formation of this white film on the tongue. To combat bad breath after consuming dairy consider oil pulling and tongue scraping (5). In more pronounced cases, brushing the tongue with a small amount of activated charcoal or baking soda may help. An imbalance of bacteria in your gut and the presence of SIBO, candida, or certain parasites can all contribute to bad breath. The presence of these types of pathogens in the digestive tract leads to poor food digestion, unwanted fermentation of undigested food matter, and the production of gas which can make its way up through belching. Be sure to consume a healthy variety of fermented foods and beverages as well as supplement with a high quality probiotic that will help maintain a healthy bacterial balance. This is a really good strategy whether you deal with keto breath or some other form of bad breath. If you are beginning to implement the tips outlined in this article but need some more immediate breath freshening support there are some key strategies that I have seen great success with. These work particularly good for keto breath but also for someone with poor oral hygiene and digestive challenges. Optimal hydration is especially important for good oral health and eliminating bad breath. Water helps flush food debris and bacteria from the mouth and is required for salivary production. I recommend drinking at least half your body weight in ounces of purified water each day. Even better would be to shoot for an ounce of water, per pound of body weight. So if I weigh 160 lbs, I want to aim to drink 160 oz of a combination of water, broth, green juice, fermented drink or herbal tea each day. 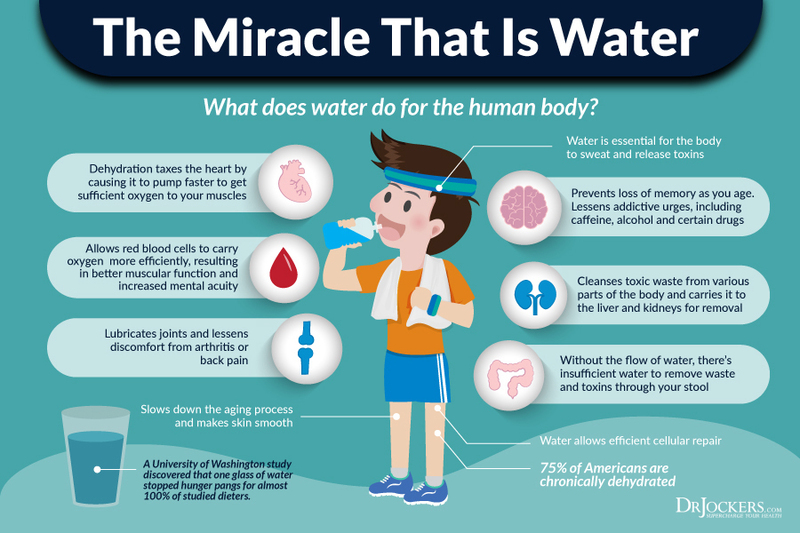 I also recommend drinking at least 16oz of water within the first 30 minutes of waking as that is when your body is at its most dehydrated state and in need of the hydro-stimulation to get the detoxification process started and the gastrointestinal system moving. Peppermint not only covers bad breath with a pleasant aroma, but also helps control unwanted bacteria (6). We often have our first encounter with peppermint through candies, chewing gum, and mouthwashes. All of these things are typically highly synthetic and contain harsh chemicals or sugar that can actually damage the mouth and contribute to bad breath. Opt instead for a high quality peppermint essential oil that can be added to coconut oil when oil pulling, added to water for a quick refreshing drink, or simply swished around in the mouth with a bit of water. You could also chew on fresh mint leaves when needed. Our own saliva is a powerful pH regulator in the mouth that helps control the development of unwanted bacteria (7). When you are not required to be speaking, allow saliva to pool in your mouth for brief periods of time to help maintain a healthy oral environment. This will also help train the habit of nostril breathing over mouth breathing and help prevent dry mouth. Another helpful strategy to teach nose breathing is to tape your mouth at night. This helps train the body to breath from the nose, which lowers the stress response and promotes a healthy mouth, teeth and gums. Additionally, you will sleep deeper and feel more restored in the morning and have more energy throughout the day. One of the easiest and healthiest things to do is to snack on natural herbs that help to freshen breath. These include rosemary, fennel seeds, cinnamon, parsley, clove and mint. I will carry around some fennel seeds or rosemary in a little container (like an old Tic-Tac container) and pop a few in your mouth every few hours. These herbs are not only good for your breath, they contain key compounds that support digestive health and brain health. They are known to increase digestive juice and acetylcholine production in the gut. This helps to control good peristaltic intestinal contractions for healthy bowels. They also increase acetylcholine production in the brain which helps with memory and sharp mental function. What a win win!!! It will help me breath deeply? No, but it will improve your overall breath! This was a very good article, you are one of the Best, keep it coming and thanks. So why i can’t breath deeply? Mouth taping has been life changing for me! My sleep is now so rejuvenating that I can’t wait to go to sleep! I wake up well rested and energetic.